See original Richmond News article here. Like so many volunteers who dedicate their evenings and weekends to animal rescue, Linda Lanyon works full time as an elementary school teacher, but also operates BC Chihuahua Rescue (BCCR). This rescue group of volunteers and foster homes takes in surrendered and former puppy-mill Chihuahuas and finds them new homes. The all-volunteer rescue group doesn’t operate a shelter, but depends on a network of foster homes to house and care for each precious little dog. But last summer, Lanyon’s rescue work was kicked up a notch when she was vacationing in Las Vegas, Nev. She and her sister were enjoying the Donny and Marie show at the Flamingo Las Vegas. Donny Osmond, the actor, singer and former teen idol, was looking for audience members to participate in his Make a Difference (MAD) campaign. Lanyon’s sister volunteered her, and Lanyon came away with an extra $300 from Osmond’s show and instructions to turn that $300 into positive change. And Lanyon has done just that through her work with the Chihuahuas. She used the money to purchase ‘OPT to Adopt’ bracelets to educate the public to adopt an animal instead of purchasing them at pet stores. After so many puppy-mill chihuahua rescues, Lanyon knew that educating the public on animal adoption was an excellent way to make that $300 make a difference. But BCCR’s work doesn’t just stop at education. Lanyon says the most necessary tasks for volunteers of BCCR are to provide foster homes and help to raise funds. So many of the animals that come to BCCR are in dire need of veterinary care and they spend nearly all their funds to pay vet costs. But it’s worth it! 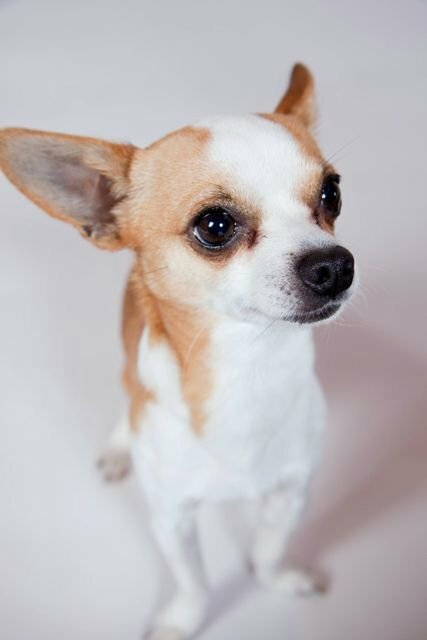 Lanyon’s rescue has provided permanent loving homes for 26 rescued Chihuahuas this year alone. Richmond Urban Dance Company owner and dance teacher Wendy Riley recently starting volunteering with BCCR, and providing those necessary tasks of animal rescue was exactly what Riley wanted to do. She now works to help homeless Chihuahuas by inspecting new foster homes in our area and selling the Make a Difference bracelets and other BCCR merchandise at her Urban Dance Company retail shop. But right now Lanyon and Riley have been getting the word out that BCCR is looking for more foster homes. Surrendered and rescued Chihuahuas need temporary housing while an adoptive home can be found. Perhaps you can provide such a sanctuary? Riley says good foster families are in homes where people are typically around much of the time and the yard is safe and secure for the little dogs. If you think you might be able to provide a loving foster home, contact BCCR through their website. But in the meantime, don’t miss this opportunity to contribute to the chihuahua rescue effort by purchasing beautiful ‘Make a Difference’ bracelets and other merchandise at chirescue.org or at the Urban Dance Company in Richmond. And even if you can’t donate, you might find other ways to help by looking that the BC Chihuahua Rescue wish list at chirescue.org/wishlist.htm.